If you're anything like us, you love the creative ease of our Blueprints Die-namics. Today we're going to look at a variety of options for Designing with Blueprints 29! Today's video will give you a closer look at how versatile our Blueprints 29 Die-namics are. Stephanie shares four cards originally created by Inge that show how to use our Blueprints dies in various ways! Watch the video below or click here (June 2016 Release Class - Blueprints x4) to watch it on YouTube. Don't forget to subscribe to our YouTube channel so that you don't miss a single tutorial! 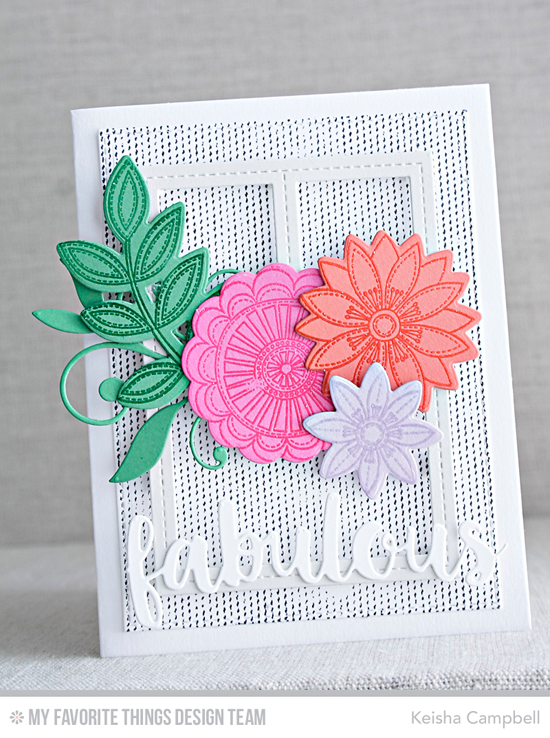 Such a gorgeous array of cards using the Blueprints 29 Die-namics! There are so many possibilities with them, and your recipients will love them. A set like this would make a great gift. You can find sketch ideas for all of our Blueprints Die-namics HERE. Let's take a look at a few examples of some projects that feature the Blueprints 29 Die-namics. 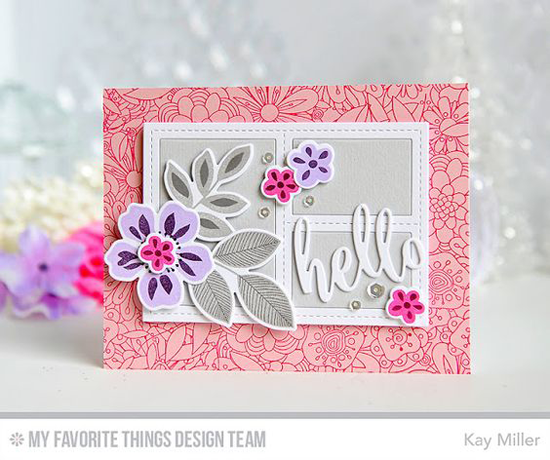 Kay takes a vertical approach with Blueprints 29 and adds in pretty flowers. The gorgeous Bundles of Blossom Background stamp makes a glorious backdrop to the whole design. 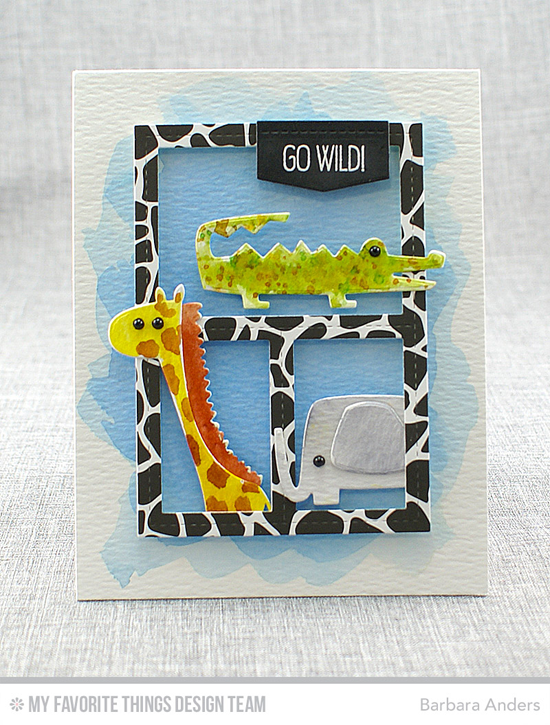 Barbara features some creatures from the Jungle Friends stamp set and Die-namics on her card. She cut the frame from Blueprints 29 from the Wild Prints Paper Pack for a very fun animal print look! Keisha treats the frame from Blueprints 29 as a backdrop for featuring her lovely array of flora from the Funky Flowers stamp set. Super cool! You will LOVE playing with the Blueprints 29 Die-namics. Be sure to tag #mftstamps when you post your projects online. We can't wait to see what you've made! Really cool cards - the BG on Kay's, the animal print frame is fabulous and Keisha's designs are always classy.